Global oil and natural-gas producers have delayed $200 billion of investment in more than 45 projects following the slump in crude prices, according to Wood Mackenzie Ltd. The Scottish energy consultancy says the dramatic fall in oil prices in 2014 and subsequent dismantling of 2015 company budgets has already already resulted in over 45 major projects delayed this year. 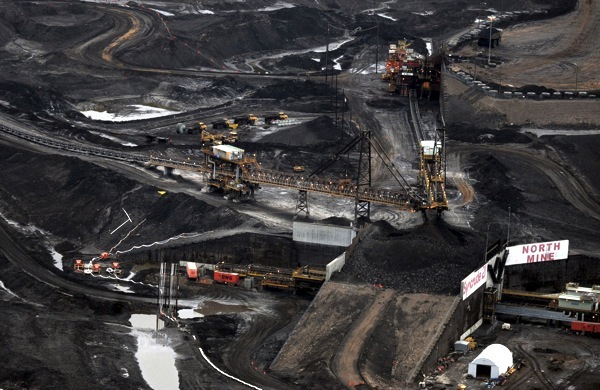 About half the affected venture are deep-water projects, while almost 30% are in Canadian oil sands, the report shows. Earlier this year the same firm said it expected $12-billion worth of projects in the Canadian oil and gas sector to be deferred this year, $20-billion in 2016 and $27 billion in 2017, as far as oil prices remain under $58 per barrel. Among the projects that are likely to to face delays, Wood Mackenzie has mentioned Cenovus Energy Inc.’s Christina Lake Phase H and its Narrows Lake Phase A; expansion work at Husky Energy Inc.’s Sunrise SAGD plant; and PetroChina’s MacKay River project. Last week, another report by think-tank IHS said costs would negatively weigh on Northern Alberta oil sands production. The study estimated that output will grow by 800,000 barrels per day to about 2.9 million bpd by 2020. That’s down by 280,000 bpd from the 1.08 million bpd growth it estimated last year, when global oil prices were twice as high. And that forecast assumed projects now under construction will be built despite low oil prices, which have kicked off the week in the red. U.S. prices were trading below $48 a barrel on Monday at 11:00 am ET, pressured by a weekly climb in U.S. oil-drilling rigs as a steep plunge in the Shanghai stock market fed worries of a slowdown in Chinese energy demand.